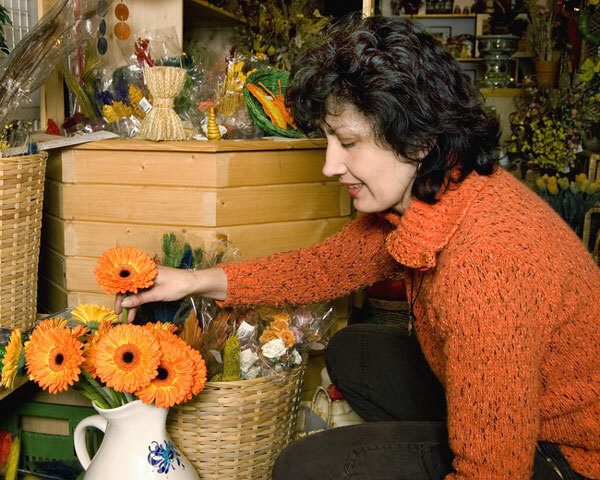 Florists usually sell fresh flowers, flower arrangements, and ornamental plants. Many years ago, florists grew their own flowers for market, often in gardens and greenhouses near their flower shops. During the twentieth century, modern communication and transportation systems enabled the development of flower delivery networks. These florist networks facilitated the delivery of beautiful fresh flowers and perishable gifts to recipients anywhere, at any time of the year. More recently, with the development of the Internet and next-day air delivery services, online florists have become a convenient way to send flowers anywhere in the world from flower growers located in warm and sunny climates. Flower delivery networks and independent florists have created stores on the World Wide Web where visitors can view online pictures of flower bouquets and floral arrangements. Customers can order flowers online quickly and conveniently instead of ordering flowers by phone or buying them at a traditional, local flower shop. ProFlowers.com, and similar online flower delivery companies, deliver flowers nationwide direct from the grower. 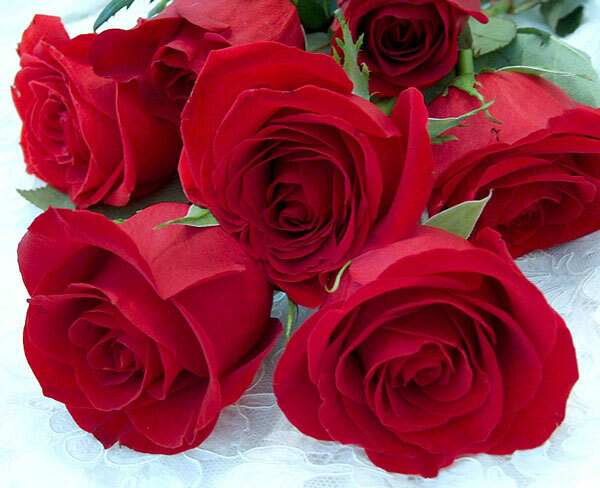 Flowers shipped in this manner can arrive fresher because they bypass warehouses and florist coolers. Imported cut flowers are also inspected by U.S. Customs and Border Protection agriculture specialists to ensure that they are free from various insects, pests, and diseases. However, flowers shipped from flower growers must be arranged and placed in vases by the recipients, services that local florists normally provide. Wedding planners can also order wedding flowers and bouquets online, direct from the grower-florists. OnlineFlorists.us features a convenient directory of online florists and flower delivery networks. These florists offer a broad selection of fresh flower arrangements and gifts for every occasion. Whether you are looking for a bouquet of red roses, an indoor flowering plant, a vase of sympathy flowers, or a beautiful gift basket, you are sure to find the ideal selection at these online flower shops. If you are partial to tropical flowers, orchids, or dried flowers, browse through the specialty flower suppliers listed below. Commercial florists and flower shop owners will be interested in the wholesale flower and floral products suppliers. If you can't find exactly what you are looking for on this website, try visiting this Valentine's Day gift site as well, where you can find romantic flowers and gifts for your sweetheart. Founded in 1910, FTD is the world's oldest floral services organization, features same-day delivery of floral orders, and offers a wide variety of unique floral arrangements and specialty gifts for holidays and other occasions. Find a good selection of birthday flowers and anniversary flowers at this online florist. This California-based flower delivery firm has an extensive network of member florists located in the USA and Canada. Teleflora features floral arrangements that are professionally arranged by local florists using fresh flowers — and personally delivered. This Hilo, Hawaii-based firm markets tropical, Hawaiian-grown flowers and food gifts to retail and wholesale customers. This South Jersey flower distributor provides fresh cut flowers and greens, floral supplies, and botanicals to retail florists. This northern California flower market features a large selection of cut flowers, potted plants, blooming plants, and floral supplies. This venerable Ohio floral products distributor markets fresh flowers and floral supplies for every occasion. This Georgia flower wholesaler distributes flowers from growers in many states and several foreign countries. Their floral design school offers classes for novices and journeymen alike. Strives to unite and inform growers in the production and marketing of field and greenhouse cut flowers. Organization that represents all segments of the floral industry, including growers, wholesalers, and retailers.